In the morning we stopped at a Gas station / place to get some food. On the food counter was a large jar of pickled eggs. 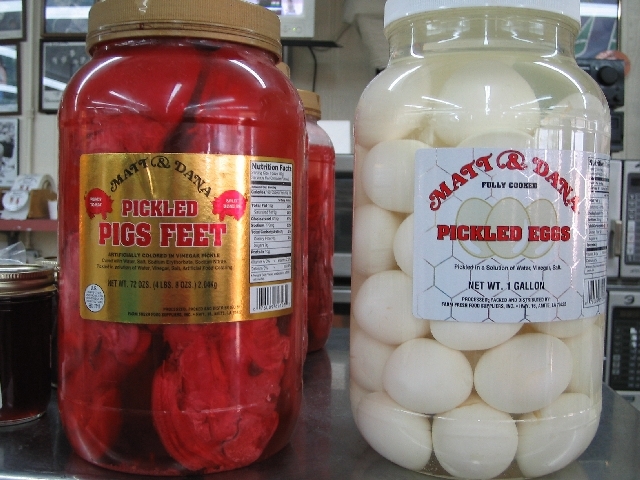 In England it is commonplace to find jars of pickled eggs, however, it is NOT commonplace to find jars of ‘pickled PIGS FEET’!!!!!! !… Mmmm, yummy! The venue was great. A really nice Theatre. Tonight was another gig with a support act. 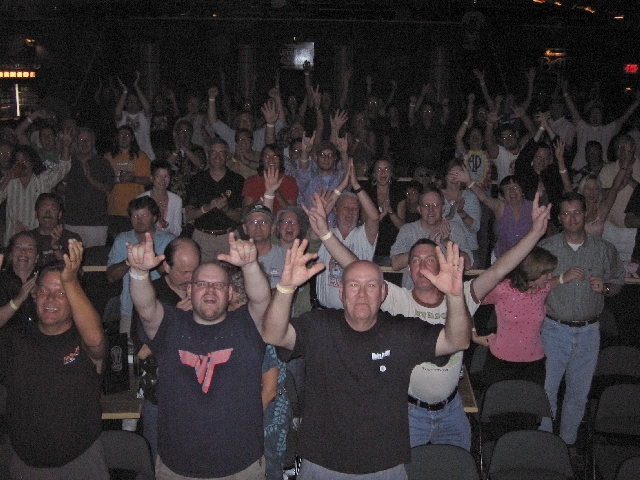 However, this support act had to be one of the best we’ve ever had. It consisted of a guitarist called ‘Rhett Butler’ and a percussionist called ‘Martin Mccall’. Rhett is a phenomenal guitarist who, from what I saw, specialises in unaccompanied solo guitar (chords, bass line and melody). He even goes as far as playing two guitars at once – the bass line on one guitar using his left hand and the melody / solo with another guitar mounted to stand which he plays with his right hand. Truly amazing! I heard him play an arrangement of Joe Satriani’s ‘Always with me, Always with you’ like this. Martin is a great percussionist, he was playing a variety of hand drums – all very, very cool. The gig was a success, we had a great time.